A fun, colourful poster that explains whole body listening and accompanying worksheet to consolidate knowledge and understanding. Ideal to use in the classroom when learning about effective listening skills and whole body listening. Select and download the school font required for your class in colour or black and white. Print and laminate the poster (in a larger size if required) and display in your classroom. Print multiple copies of the worksheet. Display and discuss the poster. Model and rehearse how to use whole body listening. Ask the children to complete the worksheet independently or as a whole class. What comes next? 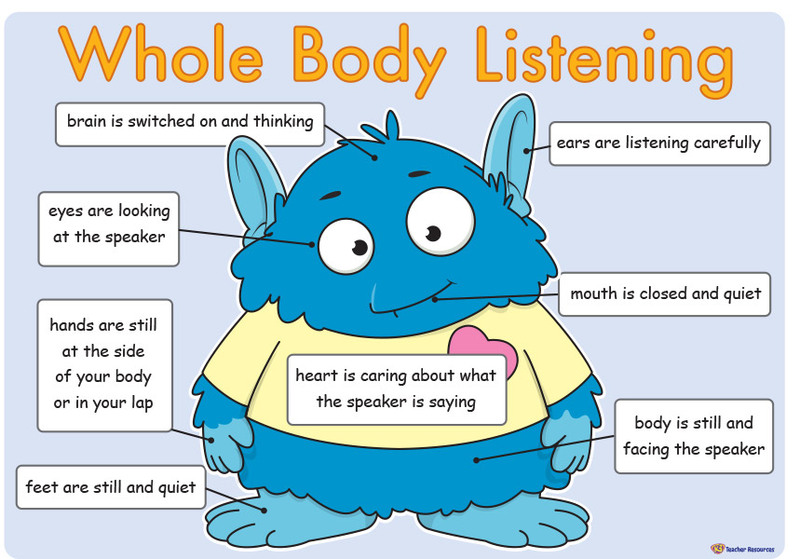 – Refer to the poster on a regular basis and use a prompt to remind the children to use whole body listening.